Is Windows 8 or 8.1 really that bad? Is the criticism justified? 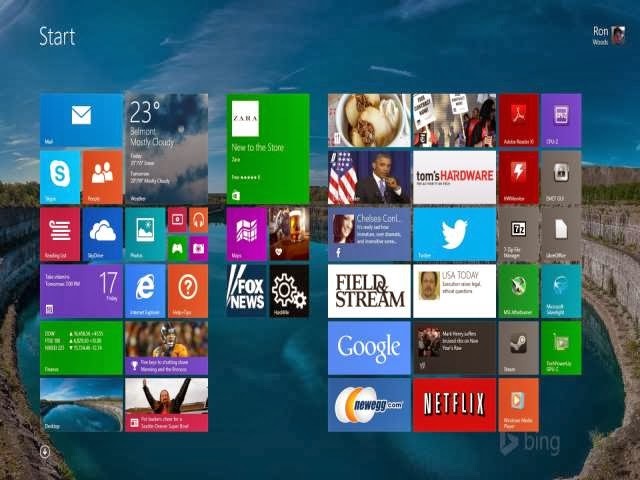 Windows 8 was released in August of 2012, and Windows 8.1 followed it in August of 2013. Windows 8.1 was more of a service pack to Windows 8 as it was a free update for all current Windows 8 users. However, has all the criticism Windows 8 and Windows 8.1 has received really be justified. In many ways, Windows 8 and 8.1 is a very new direction for Microsoft. The way we use the internet and computers today is beginning to evolve. The Metro UI was supposed to be the bridge between current and future computer and mobile device users. The traditional desktop will never completely go away, as its a vital resource for content creators, businesses, enterprises, PC gaming, and other sectors. The industry has invested very heavily into the x86/x64 platform, and many applications that use that platform simply are not a good fit for ARM processors or the Metro UI. So PC's, the Desktop, and X86/64 is not going anywhere, especially if Intel and AMD have anything to say about it. There is however a paradigm change going on. This change won't be drastic, but it does present another dimension that needs to be filled. The market is being flooded right now with touch enabled devices. These devices range from cell phones, tablets, to even laptop and netbook computers. The traditional Windows desktop interface is a very cumbersome GUI for these touch enabled devices. The traditional Windows desktop user interface was designed back in the Windows 95 era when touch screens were not even around, and the mouse and keyboard was dominant. It is only logical that as the input and peripheral devices change, the user interface has to change to fall in-line with the hardware. Windows 8 achieves this while still leaving the traditional desktop there for those who wish to use it. Also, in my opinion Windows Phone 8 has bar none the best and easiest touch UI available on a mobile phone. I couldn't imagine going back to Apple or Android after using my Nokia Lumia 920. Tasks that take 3-4 swipes on Android or Apple, takes 1-2 swipes on Windows Phone 8. Its just like the UI was made for touch, and its a very good UI for that. The Metro UI, I see as more of an evolution of the Start menu, and the ushering in of a user interface that is designed to take advantage of modern hardware. While I can understand that many choose not use Metro, I think its a bad idea to view it in an adversarial manner. The old start menu did have some short comings. It took up a lot of screen real estate if you had many programs installed. The start menu's cascading menus can be daunting to navigate for the less computer savvy, as it required more precise mouse movements. Metro UI seems to try to fill that gap by making the tiles easier to click and navigate, as well as the Charms bar and slide out menu to fill the gaps in tiles that may not be on the start screen. With Metro, you can fill your start screen to your hearts content, and just swipe left or right to find what your looking for. Mouse users can use the scroll wheel to swipe left and right. This means your no longer forced to navigate cascading menus that require such mouse movements. Microsoft's goal was to get a unified interface across its entire portfolio of products. Windows Phone, Windows Tablets, Xbox 360/Xbox One, and Surface all having the same or similar user interface. This means a user can jump from one device to another without having to learn or adapt to a new UI. This is a win-win not only for Microsoft, but its a big win for the user and consumer. As all the interface, programs, options, etc will be in the same place on all devices, this will make it easier to use. Under this unified UI, you spend less time adapting and using different UI's, and more time doing what you want. There have been some growing pains, but I hope Microsoft sticks with it. Metro UI is still very new, sure its far from perfect, but its a step in the right direction for the future. If Micrsoft wants to stay relevant in an ever changing technology landscape, then they must continue to work and improve on Metro. As touch devices will just continue to get even more popular, and Micrsoft needs a solid presence there. For those users who wish to not use Metro, there is many start menu replacements out there such as Start8 from Stardock and my personal favorite Classic Shell. Microsoft has done nothing to hinder the use of these programs, and shows that 3rd party application developers can fill the need for a start menu moving forward, perhaps even better then Microsoft themselves can. Classic Shell for example is fantastic, and I couldn't imagine going back to a standard start menu after using it. Its so customizable, that the ability to personalize and tailor your start menu just right makes its superior to the Windows 7 and earlier start menus in pretty much every way. I feel some of the harsh criticisms Windows 8 and 8.1 have received are not totally justified. I understand that Metro was a drastic change, just like the Ribbon UI in Office was a drastic change. However, now after having time with Ribbon, its hard to imagine going back to the old cascading menus. I will concede that Metro and Windows 8 is not perfect, but its a step in the right direction, its a step that had to be taken due to the way hardware is evolving, and the way computer use is changing. The younger generation is growing up with touch enabled devices from the get-go. Microsoft needs an interface that works for these users. As the market continues to change, Microsoft must adapt to that market. Metro, with all its imperfections, is a step towards the future. Microsoft needs to continue to develop and refine the Metro UI. I think it would be a mistake for them to completely abandon Metro in Windows 9. Even making a "start button only desktop version" of Windows 9 may be a mistake.Now if Microsoft wants to put out a version of Windows 9 that has the option of enabling a start menu, but still has Metro, that would be fine as it would probably be more catered to business and enterprise users (Windows Pro versions) I just don't think they should abandon the Metro interface completely. In my opinion, as touch gains more and more traction, Micrsoft would do well to continue to work and refine Metro UI. Afterall, it took nearly 20 years to perfect the standard Windows desktop, Metro has only been with us for about 2 years or less. It needs time to mature, but it has a very bright future! So in my opinion, I think some of the criticisms and hate Windows 8 has received have not been totally justified. Sure there are some imperfections in the operating system, but there is also some very good ideas and advancements, and if Microsoft can continue to build on them, I think they have a bright future ahead. If you have not tried Windows 8 or 8.1 yet, give it a shot and see for yourself. You just may like it, I know I do. One Response to Is Windows 8 or 8.1 really that bad? Is the criticism justified? Overall Windows 8 is NOT for PC users... the OS was designed to work with touch-screen base devices such as phones and newer laptops... also, they are WAYYYYY to many incompatibilities in Win8 that 'most' users dislike... if they are planning on improving Windows for PC users... they should start by removing the MetroUI, it is a PC OS... they should give back the classic feel that they had since first Windows was released.. I don't hate Windows 8 at all, just disappointed..